Jamaica seems to be the place to be right now for rappers, from both the US and Canada, with Drake and Tory Lanez stepping out at Unruly Fest in St Thomas last night and Meek Mill tweeting out he is feeling like making a vacation trip to Jamaica. Obviously, the headline visit came from DJ Khaled, who made his first visit to Jamaica in 12 years this week, with DJ Khaled (alongside making some questionable food decisions) paying visits to some of the legends in reggae and dancehall, linking up with Buju Banton, Bounty Killer and Sizzla. DJ Khaled even found to time to have a quick mogul talk with Island Records founder Chris Blackwell and meet upcoming dancehall star Rygin King. DJ Khaled managed to fit this all into his vacation itinerary despite only being in Jamaica for a week. Obviously being that this trip was made by DJ Khaled, social media was abuzz with discussions on what some were seeing as DJ Khaled’s new found love for Jamaican culture. 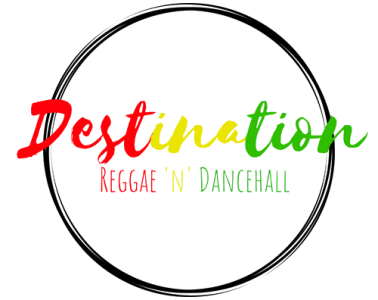 However, this could not be further from the truth, DJ Khaled has represented Jamaican culture since the beginning of his career and we at Destination Reggae ‘N’ Dancehall are here to break down the Major Keys of his love for Jamaica. DJ Khaled’s career as a pirate radio DJ in Miami on Mix 96.1, where he would frequently mix dancehall and reggae. Due to Miami’s relative proximity to Jamaica and the large number of Jamaican immigrants living in Miami, DJ Khaled began to build some what of a following in Jamaica, which eventually led to him making several trips to Jamaica in order to fulfil his role as Selector. During this time, he began to form the close friendships with some of dancehall’s biggest names that have been the focus of many of his social media posts throughout the past week, with his close friendships with Buju Banton, Sizzla and Bounty Killer being formed at this time. Around this time Khaled also befriended members of the Marley Family (which would lead to another one of our Major Keys), with the family inviting Khaled to DJ at their events and even welcoming him into their homes. DJ Khaled also competed at several soundclashes throughout his early career as a selector in Jamaica, which led to him recording some very exclusive dubplates from some of the biggest names in dancehall. Something which he was very keen to show off when Boomshots TV paid a visit to his ‘We The Best’ studios (see below). These dubplates were often recorded over hip hop beats, which gave him a unique edge in many of the soundclashes he was a part of. DJ Khaled became a regular at the Fully Loaded beach party series in the early 2000s, establishing his name in Jamaica and dancehall even further. Perhaps his biggest soundclash victory came against Wyclef Jean (who he would later sample on ‘Wild Thoughts’) at Fully Loaded in 2000, with DJ Khaled’s hip hop infused dubplates and over the top personality being the talk of the show, even Wyclef Jean’s exclusive Whitney Houston and Michael Jackson dubplates (yes you read that right) couldn’t hold back the crowds support for DJ Khaled. Khaled would later reflect on that moment in an interview with VIBE magazine saying “from that moment, I was officially broken on the streets”. As we mentioned earlier, during his time in Jamaica DJ Khaled befriended the Marley family, so it was only right that when Kymani Marley began filming the 2002 classic ‘Shottas’ that DJ Khaled was called up to make a cameo in the film, with DJ Khaled starring as a unnamed henchman for Richie Effs (played by Wyclef Jean). Unfortunately this was a non speaking role for DJ Khaled, which is a bit of a weird experience. As it is now very rare to see DJ Khaled on camera and not shouting about “major keys” or winning. DJ Khaled would later go on to feature the one and only Teddy Bruckshot (Louie Rankin) in the video for ‘Nas Album Done’ from 2016’s ‘Major Key’. Clearly DJ Khaled’s time in Jamaica during the early years of his career has had a large effect on his culinary tastes, with his social media often featuring him eating (as he would say) “inna yaad man style” with his jerk chicken, snapper and coconut jelly. However, this did not stop him making some questionable decisions when preparing his “yaad man” breakfast this week in Jamaica. In September 2011, DJ Khaled signed Mavado to a deal with ‘We The Best Music Group’, with Mavado appearing on the Angie Martinez show on New York’s Hot 97 to announce the deal. Mavado quickly released three singles on the label ‘Emergency’ featuring label mate Ace Hood, ‘Soulja Girl’ and ‘Survivor’ which featured Akon. Mavado would go on to feature on DJ Khaled’s 2012 album ‘Kiss The Ring’ with the track ‘Suicidal Thoughts’. DJ Khaled has featured Mavado on the every album since ‘Kiss The Ring’, with tracks like ‘Weed and Hennessy’, ‘My League’, ‘Progress’ and ‘Unchanging Love’ all featuring on DJ Khaled’s last four albums. Again, if you missed the reference. DJ Khaled’s recent trip to Jamaica, has also spawned a number of rumours that he has allegedly purchased a lavish mansion from Jamaican businessman and owner of Sandals Resorts, Butch Stewart. It is not clear at this time whether DJ Khaled has actually purchased the mansion, which is allegedly priced at $2 million. DJ Khaled’s love affair with everything Jamaican has lasted since the very beginning of his career, with DJ Khaled calling some of the biggest names in the history of reggae and dancehall close friends, with DJ Khaled even disclosing this week that he rang and prayed with Buju Banton whilst his son Asahd was being born. DJ Khaled’s love and respect for Jamaican culture is truly admirable and something that dates back to his days starting out in the music industry. Let’s just hope we hear more of that Jamaican influence in his upcoming album ‘Father of Asahd’.